By far the most thougthful / thorough comment on the blog thus far. Thanks for taking the time to read and write. For the Collins’ book, perhaps I am alone here but I never interpreted it to be a “beginner” repertoire. At least — I was rated 2168 USCF but was playing my standard time control first tournament in about 10 year and used it to prepare. I found it quite “confidence building” to use the book actually — over the years, I’ve bought many, many opening book but usually skim the diagrams, play through a handful of positions on a board that I find interesting, and look up positions after I’ve played games. This was one of the few books that played through almost every line variation on an electronic chess board cover-to-cover. By contrast, I bought the Negi “GM Rep” books and they are fun to look at but it seems like I can only get through about 10 or 20 pages before my discipline starts to waver and then 2 months later, I’m definitely a little shaky/forgetful on the lines unless I’ve managed to get them in games. 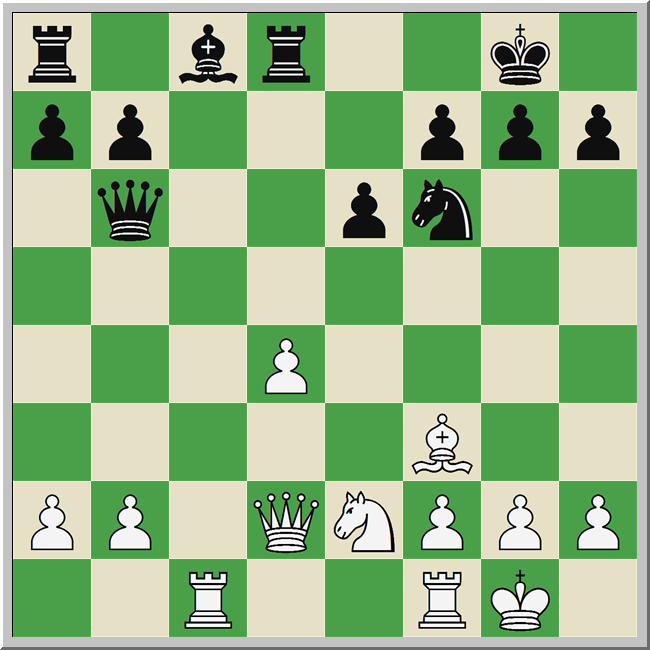 I really liked the Sicilian section of the Collins book — while certainly Black can equalize and the c3 Sicilian can get drawish — I felt they were interesting lines, and met White’s objectives for open positions with simple development. In some of the more equal lines he gives, maybe 2500 is going to be a bit uncomfortable trying to outplay a 2300 but I think there is plenty of scope for 2100 to outplay a 1900. I was less impressed with the French section of the book — the Yevseev systems isn’t quite as forcing and it seems worth noting that at the club level Black has a lot different deviations that, say, the computer might say are +0.8 if White plays well but don’t result in an IQP — for instance, if Black keeps the tension with the pawns, knowing when to play e4-e5 and transpose into a “good Tarrasch” can be important. But this requires some strategic knowledges away from some of the “philosophy” of the repertoire. Playing more complicated positions where White gets an edge might be more appealing to stronger players, but unfortunately for them — it seems like it’s quite easy for Black to equalize in the Yevseev system. In the line that you give with 7… Nxe4 — instead of 12…Qb6 after 12… 0-0 and 13… Rb8, I had quite a hard time in a 2 12 ICC blitz game against a 1400 rated player. For instance Collins likes doubling the rooks on the c-file, something like 13 0-0 Rb8 14 Rac1 b6 15 Rc4 Bb7 16 Bxb7 Rxb7 17 Rfc1 Rd7, the entry points on c7/c8 are well defended, the pawn on d4 is weak, and the Ne2 is passive. White should be able to draw if he plays well — but the Yevseev system seems like a poor choice against a lower-rated opponent who knows this line. Stockfish seems to advocate just immediately moving a rook to the d-file (instead of doubling on the c-file) and going for a d5 push to liquidate IQP but then it gets very drawish. Against the French, I think the “Waitzkin / Miezis” varation with 1 e4 e6 2 d4 d5 3 exd5 exd5 4 c4 you mention as given in the David Regis e-book might have been a better choice — more likely to lead to open positions than Yevseev variation deviations, and fewer pieces getting exchanged than some of the more forcing Yevseev lines. It’s definitely just equal but I think it’s still complicated enough that 1600 to 2300 level players should find it interesting — it doesn’t need to be marketed specifically to beginners. After all, GM Miezis and GM Rakhmanov have played the variation many times and even players like Magnus, Vachier Lagrave, Wesley So, Kamsky, Fressinet, etc have been playing 1 e4 e6 2 d4 d5 3 exd5 exd5 4 Nf3 with c4 sometimes coming depending on how Black reacts (albeit a lot of these games are blitz or rapid). Anyway, thanks for writing the review, was interesting!